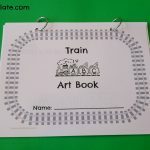 View cart “Animal Movement Game Printable” has been added to your cart. Download of the Animal ABC Art Book. A different animal-themed art activity for every letter of the alphabet! Detailed instructions and suggestions can be found here. Bloggers – if you use this please remember to link back! Thanks!